OAHU on Arrival: Wal-Mart,Safeway,Foodland,Longs,Costco – stock up with juice and water. Foodland Farms is like Whole Foods. Avoid beaches the week after a full moon (jellyfish days). Pearl’s Oahu List by Districts shared with Aloha. *Ala Moana Shopping Center: 1450 Ala Moana Blvd (Neiman, Nordi, Escada, BCBG, MuiMui, Zara) something for everyone, best mall in the world; visit Shirokiya and new area across Uncle Clay’s HOPA. *Shirokiya: moved ’16 to ground level, Japanese hot food deli experience, “a mini-tokyo station” fresh sushi, tempura, grilled Miso soy butter fish, garlic chicken hand roll. Fruit and tapioca drinks; try Soba noodle! La Gelateria: Italian style frozen desserts: $2/cup, 8-5pm, 819 Cedar St. 808-591-1133, green tea, the local source! Kona, black sesame, li hing pineapple, lichee, green tea. Senia: 75 N King St. 808-200-5412, 4.5/105 American, 5:30pm-10pm, park Chinatown municipal lot off Nimitz up Smith St; get bone marrow custard, Highly recommended by Jeannie, Trase, Pauline, top of everyone’s list in 2018! *Akasaka: 1646 Kona St Ste B & Atkinson, behind Ala Moana shopping center, park in front lot, 11am-2:30pm, 5pm – 12mn, get sashimi platter per Linda and Randy ’16 favorite sushi place!, 4*/334 salmon sashimi, HH special after 9pm 20% off entire menu, great master chef. *Moku Kitchen: 660 Ala Moana Blvd 88-591-6658, 3:30-5:30pm HH $9 all pizzas, appetizers half off except seafood. Great for groups, large, AC, clean, bustling. *Morio’s Sushi Bistro: 1160 King St 6:30-10:30pm 808-596-2288, 4.5/532, ?moved? Omakase includes Lobster sashimi, fresh Uni (too much food, packed soup home, try ala carte next) call reservation way in advance, seat@ 5:30 and 8:30pm. *Imanas Tei Restaurant: 2626 S King St, Izakaya, very fresh sushi, best Nebi hot pot, 5pm-11:30, 808-941-2626, 4.5/476, recommended by locals and Trase confirms. Ray, Lulu, Kim ‘18 favorite dinner spot! *Lilikoi Bakery: 2nd loc @ old Sam Choy’s site (ok bfast) great bakery, get Taro Donuts, famous coco puffs plain and filled (too sweet). Spacious, BRs, parking, groups, buy baked goods to go, pickup hamburger buns for next BBQ 6/$5. Halona Beach Coves: 72 Kalanianole Hwy, see whales, jump rocks, downhill hike, movies filmed here like 50 first dates. Park Halona Blowhole lookout, 8699 Hawaii 72, need to hike down on flat rocks down. Magic Island: 1201 Ala Moana Blvd, Park and Beach, watch Hilton Hotel fireworks every Frid night, picnic, swim, yoga, bbq, fish, run, photo opportunity, everything here! *Plumeria Café restaurant @ Kahala Hotel and Resort: our #1 favorite B-fast brunch (when we want to linger), order continental $22 all papaya, parfait, smoked salmon, choc crossaint, juice; order separate Latte (Kona is weak now, french press is OK) corn beef hash is excellent; Daily @ 6:30am. best ambiance and Ocean view! great beach, swim and sitting areas in and outside; (tour of grounds and secret garden 10-11am) Dolphins Quest is great for kids and adults; valet or park in lot 4 hours, best kept secret Public Beach. Wedding gazebo, photos, paddle board, get a beachside table outside. Diamond Head Beach Park: safely admire the surf from either street level in between the 3 Diamond Head Lookouts or walk down the paved path near the Diamond Head Lighthouse. Not for swimmers- rough waves, see hang gliders, Surfers, Longboarders, SUP’ers, Windsurfers, and Bodyboarders. *Earl Sandwich: 1137 11th ave 4.5/414 – great tasting turkey sandwich per Doug ‘16, get side cesars salad $3, quality, 10am-4pm; one of top 3 sandwich spots on Oahu. *Mud Hen Water: 3452 Waialae Ave, local, trendy fusion Hawaiian tapas, innovative, quality food w/Jordan, Cheryl ’17 (Aina) would repeat and bring F+F. *Town Restaurant: 3435 Waialae Ave good fusion, Italian, American, 808-735-5900 3.5* $$ hand cut pasta, menu changes daily, would repeat and bring F+F, Same owner (Ed Kennedy) of Mud Hen Water and Superette. Via Gelato: 1142 12th Ave, 4.5/620 11am-11pm, black sesame, earl grey, pistachio, green tea flavors! Looks great. Tonkatsu Tamafuji: 449 Kapahulu Ave 2$, 5/197, 4-9:30pm, lunch on weekends, fried foods, katsu, clam miso, free parking 1st Hawaiian bank, #1 Tonkatsu Pork per Cliff Tam (really as good as in Japan), long lines start @ 4:30pm! *3660 On the Rise: excellent fine dining, fusion food, Ahi katsu is the best here 808-737-1177, 2006 when 1st opened. *ARS Café (Art in latin) 4.5*/43) 6am-4pm, beautiful wood bar, local artist, real barista “Roland“ works every day. Great drip hot coffee black & Americano, cold brew is light, en suite restroom, air conditioning, no wifi, tables, clean, quality. *Diamond Head Market & Grill: market opens 6:30am-9pm. fresh moist blueberry scones per Wanda and Paul. 3158 Monsarrat Ave. 808-732-0077 No latte type drinks, take out window has Bfast @ 6:30am but BBQ lunch starts 11am. ’16 best salad to grab for trip, “Ahi salad or salmon tofu watercress salad with garlic soy dressing are Pearl’s favorites. (BR inside the Coffee Bean and Tea next door so order coffee there). *Diamond Head Cove Health bar: 3045 Monsarrat ave open 9am- 8pm (can order till 7pm) and 11pm (can order till 10pm) Tu Wed Thur; serve bfast, our past favorite acai bowl -still very good; great smoothies, busy, small lot. Diamondhead Crater: Hike trail is touristy, but if clear day, nice view of the southern coastline, go 7am early! 560 ft up steep Stairs, lighted tunnel, takes 60 -90 mins up and down, #1 hike on Oahu, rest of hikes all have more risk. *Waikiki Beach Walk: Hotels and retail designers. Beach Walk on Lewers St btw Kalakawa and Kalia days open 10am-10pm 41 shops/restaurants, good night walk. *Kona Coffee Puveyors/ B patisserie: shared space, 4.5*/346 10am-11pm 2330 Kalakaua Ave, top 5 cappuccino ever! Micheal Mina’s The Street: 2330 Kālakaua Ave, ground floor of the International Market Place, International Smoke (A. Curry’s restaurant 25% off all food at all 12 food stations, HH 10pm-12mn). The Street Party Pass = dishes from 7 stations/$36.99 or 4 stations/ $24.99, 3 to 6 p.m. & 10 p.m. to midnight daily. Eating House: Roy Yamaguchi’s @International Market Place, 3$, highly recommended. [Prada, Carter, Apple, Forever 21, Coach, International marketplace, Moana Surfrider beach hotel, Royal Hawaiian complex with high end stores; buy here for low taxes=half; Duke statue on beach. Good to walk at night. Rum Fire: in Wakiki: 2255 Kalakaua Ave, 11:30am-11:30pm, Asian fusion, early tapas dinner, music & view per Rachel Ray 4-7pm enjoy with happy hour, has best ambiance torches, music; ok food. *Island Vintage Coffee: 2301 Kalakaua Ave, great décor, clean, lines, limited seats, open at 6am-11pm, Acai (good taste, thick made with banana, in the top 5) and Coffee (hot and blends), Brunch and salads. Aileen’s parent’s favorite spot. *Cheesecake Factory: 2301 Kalakawa ave, always good, music, wait, value, near the Apple store; appetizer chopped salad, mango smoothie, share or no room for dessert. #1 busiest Cheesecake factory in their system. *Beach House: inside the Moana Surf rider Hotel, plantation white, live music, banyan tree, beach. Beautiful, food is ok-good expensive, eat outside. “Mangos at the Moana July event, chefs compete, $6/sample, open admission. *Hawaiian Crown Plantation: 159 Kailuani in Wakiki, 3rd tier Acai, cute small popular; 4.5/88 smoothies look good (ok acai- great toppings) smooth coffee- not strong, cute little café store produce from their farm, close walk from condo 8am-8pm try again? Sasabune: expensive sushi, the chef at the bar is strict, eat all they give you and correctly in one bite. Some really like it. 4$ Cheresa’s favorite. Hy’s Steak House: one of the best steaks on the island per Sarah B. *Lewers St: Yard House, Coffee beanery, boutiques! Great street to walk! Lots of Eggs and Things around Trump Tower Hotel and Kalakawa. *Sura Hawaii or 678 Hawaii Korean BBQ: 1726 Kapiolani Ste 101, Korean, lots quality beef! On flame not charcoal, large chain [but poor sides and kimchi]; Raymond, Lorraine love it, tried ‘15 Randy, Linda. ’18 Open late to 2AM, HH after 10:30pm. *Matcha Café Maiko: 2310 Kūhīo Ave., #143, (808) 396-8031, 4/307, 11am-9pm, freshly waffle cones, uses matcha organically grown in Harima Garden in Kyoto, high-quality tea, iced lattes, frappes, shave ice, try Maiko Special parfait w/matcha chiffon cake, kanten jelly, water chestnuts, mochi, azuki beans, cornflakes, top matcha soft serve. *Ocean House Restaurant: in the Moana Hotel, great to walk through, banyan tree plantation style, live music, ambiance great, fine dining. *Mahina & Sun’s: 412 Lewers St, in the Surf Jack hotel, Ed Kenney’s group same owners as Town. 808-924-5810, 3$ hip & trendy quality Hawaiian, seafood, music, valet parking, recommended by Trase. Goofy: 1831 Ala Moana Blvd Ste 201 upstairs, 808-943-0077, Bfast all day 7am-11pm daily, no reservations: loco moco, benedict, french toast, across from Hilton Hawaiian Village, hard to park, yet to try. *Tropical Tribe: 1778 Ala Moana; 4.5/207, the earliest acai bowl available! opens 7am-6pm 808-366-8226, most pure Brazilian style Acai bowl (our #1 Acai bowl in 2018). They also have the Hawaiian style blended acai bowls. hidden location downstairs at corner. If spend $20 can park 30mins free in lot behind. Hilton Hawaiian Village: every Friday 7:45pm fireworks can be seen all along waikiki and ala moana! *Island Vintage Coffee: 2301 Kalakaua Ave great ambiance, coffee, salads, sandwiches and great acai bowls! Halekulani: 2199 Kalia Rd 808-923-2311, Hotel –so beautiful, La Mer, Orchids, Hau Terrace, House without a key. Offer a great dining sunset cocktail 5pm to 9pm. 2) Fort DeRussy Beach Park – only upper Waikiki area w/grassy park setting w/ palm trees, shade, and picnic tables. 3) Gray’s Beach – next to the Halekulani Hotel. Gray’s By The Sea lodge that once here, mostly gone. 5) Prince Kuhio Beach – AKA “The Ponds” for two back-to-back concrete walls that stretch about 40 yards into the ocean. Great for kids but it gets very crowded here. 7) San Souci Beach – off the hotel strip, (Kamaina) extremely kid and family friendly, one of the best spots on the south side of the island to snorkel. A reef located about 50 yards into the ocean that attracts a lot of marine life. 8) Outrigger Canoe Club Beach – AKA Colony Beach, secluded section, nice spot to enjoy beautiful Hawaiian sunsets. *Sushi Murayama: 1320 Rycroft St #307, 1st hr free park then just $2, 808-784-2100, introduced ’16 by Dr. Benton Chun “… $125/person was better than the $500 tried in NY!” get Omakasi (starts @ $75 was good for me), “…memorable, BEST freshest sashimi in my life! ’17, ’18, Saba melted, black neck fish, wagu, shrimp, fresh best uni, large portions” out of the way 3rd floor destination (dessert is extra). Ryuji M. owner, sushi chef is a great guy & both daughters work. *HiBlend: heavy toppings delicious acai bowl ’18. *South Shore Market: 1170 Auahi St, on the Diamond Head end of Ward Village, Urban Shopping Center, Scratch and Meatery; study, shop, eat, wifi! Big Bad Wolf, Big Island Delights, Cameron Hawaii, Coffee Bean & Tea Leaf, Eden in Love, Fishcake, Flotsam & Co., Holoholo Café & Market, Kealopiko, Manaola Hawai’i, MORI by Art + Flea & Salvage Public. 2018 favorite space to visit and eat at Nalu! Lucy’s Lab Creamery: 1170 Auhai St, in South Shore Market, 4/383, they have earl grey! (ran out when I was there!) Brioche ice cream sandwich, try coffee donut flavor. *Piggy Smalls: 4/108 11-3pm, 5-9:30pm 1200 Ala Moana Blvd in Ward Village 808=777-3588, ’16 get Pearl’s favorite house made pastrami dip sandwich in Pho sauce dip, Doug gets extra noodles with Pho soup. *Haunama Bay: 100 Haunama Bay Rd, Honolulu; snorkel safe shallow waters, colorful fish, crowded weekends, go early as opens 7am, take trolley back up hill! Resident with ID = free. Non-residents $7.50pp in 2015, need to watch conservation movie once/year so no feeding fish, Volcanic crater, curved bay sanctuary. open year-round, except Closed on Tuesdays, Christmas and New Year’s Day. Arrive as early as you can or wait until the crowd trickles out in the mid-afternoon. During summer, the state park opens at 6 am and closes at 7 pm. It closes at 6 pm in winter. Parking fills up as early, costs $1 a vehicle. Parking lot is a short steep 10-minute walk to the beach or tram ride down for $ 1.50? the clearest waters of Oahu’s marine sanctuary (no fishing allowed), natural wonder and the marine life. *Leonard’s Bakery: 933 Kapahulu Ave @ Charles (M-Th 5:30am-10pm; F-Sa 11pm) Malasadas: original plain =best, cinnamon, or seasonally filled guava, mango, lilliko, pineapple, mac nut; must eat fresh and hot, within 15” best or <4hrs; always get this at least once! *Sekiya’s Rstaurant & Okazu-Ya Deli: best to get food before 12noon, opens @ 8am, can sit for Saimen noodle soup + eat food from Deli for Bfast, Lunch (our local HIW accidental find, not on any public list) 2746 Kaimuki Ave 808-731-1656 (get Tempura Vegetable, Butterfish – get Belly (best smooth taste), Fillet (bones), not tail (more meat but drier), Inari Cone sushi, Large Namasu (the best cucumber salad). NO for dinner! Huge parking lot. *Ono Hawaiian: homestyle Lulau traditional Hawaiian food, locals, top laulau! *Ono Seafood 747 Kapahulu ave 4.5/2,224 9-6pm, closed Sun, Mon in Kaimuki, one picnic table, set back, 2nd to Tanioka’s, TA #2 in Oahu but we prefer Superb sushi! *Wailoa Shave Ice: 2135 Wailoa Street, Honolulu (M- Su 7:30 am – 6:30 pm) Shaved Ice= Lillikoi and Lichee; moved across from safeway down 3 blocks, down an alley way, Off Kapahulu, behind the farm. *Kaimana Farm Café 845 Kapahulu 8 a.m.-4. (closed Tu) across Safeway; Farm fresh, [weak smoothies, coffee, soufflé omelets] clean, try benedicts; [for this style wait for SF]. *Side Street Inn On Da Strip: 614 Kapahulu, Kaimuki across starbucks, 2nd location more upscale, valet park$5 or open lot put $2 ticket=2hrs on dash; get Nalo salad! Cesars!, pasta, best garlic chicken, reg fried rice (Jas favorite); poke, ahi sashimi, sashimi clam, brownie peanut butter dessert; reservation before 7pm. 808-739-3939, open late! *Sweet E’s Café: 1006 Kapahulu/ corner, near HWY-1; 4.5*/425; kailua egg benedict, good French toast, clean new location ’16 (2 people -prefer split Bfast, add side eggs, skip english muffin), good starbucks coffee close by! Opens 7am-2pm Family owned nice local friends, valet park $3 wkend stamped. Doug’s favorite for this ares. *KCC Farmers’ Market: 4303 Diamond Head Rd Honolulu Sat 7:30 AM -11:00am the largest, best farmer’s market on Oahu!, small on Tues 4pm-7pm (get carrots, vegetables, local papaya- tree ripened, BBQ burger line), in the parking lot of Kapiolani community college, Pig and lady: Oxtail or Brisket Pho soup is the best we know. beef dip sandwich, Ahi Kale or mushroom chip tapas (Barbara, Jeannie), Abalone BBQ or stewed (Jerome), roasted corn, fried green tomatoes, maui onion rings, pesto grilled pizza, garlic shrimp, large wild prawns $17/cup, go @7:30am to get best flowers. *Island Brew Coffeehouse: 377 Keahole St Ste C5 6am-6pm 4.5/343 all types of local coffee, famous for Malabar mocha, Americano, all good. best in-area acai bowl (soft style), mac waffle and lox bagels look great too; awesome view of Kokohead, marine, water sports, has quality, great staff and Best Atmosphere. Open 6am-6pm. drive PAST Costco, in Hawaii Kai Town center on water marina, with huge Long’s and Safeway, turn R into lot. Koko Head Hike and Kokohead crater. *Bubbies: 7192 Kalanianaole hwy for local ice cream, mochi ice cream, order sundae = the slice of triple ice cream cake. Open 12pm 808-949-8984, lines. *Moena Café: Bfast Brunch 4/575 7192 Kalanianaole; pancakes, waffle, kale cesars plain chicken salad (Pearl), loco moco eggs, fried rice; clean AC, 2 doors from Bubbies, BR upstairs (96825 or 14920-men). Skip sandwiches- small. *Sophie’s Pizza: 7192 Kalanianole Hwy, 4.5/142 2$, delicious toppings, thin crust, across theater, gourmet good quality, Lunch sit in back on marina. Next to Zippy’s. 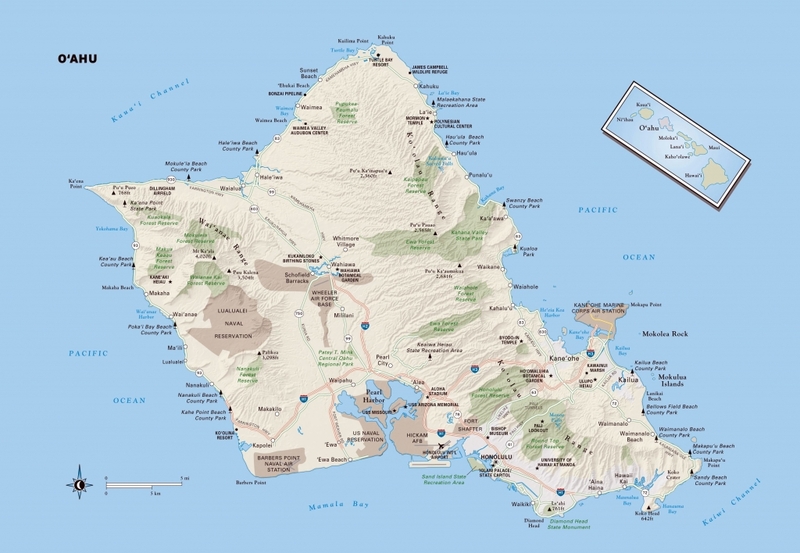 Makapu’u Light house trail: easier trail, 2 miles, paved except at top, see islands of Moloka’I and Maui, 45” walk paved, uphillsland, View: Koolau Mts, Manna (rabbit) Island, Kaohikaipu Island, Mokulua Islands (twin), Mokolii Island. Makapuu Lookout: gorgeous views of Oahu’s East shore, including Rabbit Island and the Mokulua Islands. ideal for whale watching during the winter months. Military Pillboxes that line the mountain side. *Crazy Shirt: best outlet for T-shirts when you hit a sale. *HiBlend Health bar &Café: 661 Keeaumoku, park validated lot, ste 105A 4.5/397 smoothies, Top quality Acai bowls; Great tasty large green salads, coffee, juice, variety, near Walmart, Costco; opens early 8am-9pm M-F, 9am-9pm Sat Sun, very high quality, style is lighter texture. Pearl’s favorite food in his area! Free parking. *Izakaya Torae Torae: 1111 McCully St Honolulu 4.5/416 open until 12mn! Closed Tues. Loved cold tofu with potato, avocado/seafood salad, light vege tempura, pork belly, nigiri; super nice staff, can take groups. OMG Quality food; Omakase is all sashimi so get 2 for 3 people and add other dishes or too much. very fresh fish for a HH 10pm-12mn (get truffle teri edamame, chirashi, pork, tempura) fresh scallop. they keep a very Cold air conditioning- bring a long sleeved sweatshirt or long pants. *Sushi Izakaya Gaku: 1329 S. King St. 808-589-1329 park in back; you are in Japan! Take reservations 5-7pm then after 7pm first come first serve, for a special dinner. Excellent quality, hamachi tartar, “garlic seared toro” is amazing most special sushi (Jeanne and Patrick’s favorite and now ours!). try Uni shooter next, seared king salmon. 4.5/672 1329 S King st 808-589-1329 m-sat 5-11pm 4.5/672. *Waiola: 2135 Waiola St –best shaved ice per Kim & Pearl, we all agree ’16, 4.5*/1100, opens 10am-6:30pm order bowl or large cup: lichee/coconut, or green tea add condensed milk and ice cream! *Aloha Tower: take the free elevator ride to the top of the tower. *Champion Malasadas 1926 Beretania St. Mo ili ili make it as order, no line, all locals say go here, 6am-7pm, sun till 4pm; better than Leonards? Denser style, your preference. *Ice Garden’s: 2nd level mini-mall Aiea Shopping center, (near 99-115 on GPS) 99-080 Kauhale street, Aiea 808 488 5154, local best shaved ice, “like snow”, toppings oatmeal, pudding (flan custard),Taro moochi, (favorites), add ice-cream, local find, cash only (2018 elderly Gma retired, now nephew) (daily 11-5pm, 12-5pm Thur) Taiwanese shaved ice order #5 add oatmeal (taro, moochi Kimberly’s favorite) pudding (a flan). Hole in wall. *Aloha Stadium Flea Market: “Swap Meet “ 99-500 Salt Lake Blvd, local souveniers, Wed (much smaller) and Sat 8am-3pm, Sun 6:30am -3pm, Sat and Sun=best, most venders, bring a hat/ sun umbrella, $1/person to enter; fresh coconut juice ($3 each, small, hairy brown nut requires large knife, nice lady to the R of “Lin’s” as enter will hack open and go back for the coconut meat (you put in zip lock). skip the “fake shaved ice.” Bring cash, sunscreen. *The Alley Restaurant Bar and Grill 99-115 Aiea Heights Drive (GPS near 99-99 Aiea, HI) 96701 808-488-6854 3rd Fl top level in the bowling alley above Ice Garden, (Kim, Pearl like “Tasty chicken”, famous lemon crunch cake -Awesome dessert window, but too sweet). Oxtail soup per Joanne, opens late even on Sun, 7am-9:30pm, Great family Bfast options (but skip coffee) eat here after swap meet! FYI Wed AM $2 bowling. Chinatown: worth a walk through, get Leis! *Topped: 66 N Hotel St. park on, 4.5/89 2$, 11am-2pm, 5-9pm; new find 2017, modern, clean presentation, nicest family run, best quality meat but left hungry. *Lin’s Lei shop: 1017 Maunakea St SuiteA 808-537-4112 tues-sat 7am-8pm, sun, mon holidays 7am-6:30pm, Loretta Le; less busy, double tuberose with flowers -photo well, smell so good, order in Oahu $225 for 5 lei’s, #3 choice. *Cindy’s Lei and Flower Shop: 877-536-0007, cindysleishoppe.com, buy there or on line and ship, Fed-Ex charges ($50/up to 4 leis, $65 for 8 and $120 for 100 leis in a box) most popular Lei shop, locals #1 spot to order. Sunflower Café in Chinatown: very fresh good diem sum discovered by Jas, Irene, Helen and Vicky 2010. *The Pig & the Lady: 83 North King St Vietnamese fusion. Ranked #1 2017 in Oahu, #3TA, we agree top quality per Lalita and Huidy ’16 [edge of Chinatown] 4/1,316 2$, or go to Piggy Smalls lunch sandwich pastrami! Or booth Sat AM KCC farmer’s market, #1 sandwich on Oahu per Dania and Jana ’16, owner Alex, Get: LFC wings chicken, Octopus, sashimi, pork chop, whole chicken, Pho filet migon, dessert sundae. All excellent flavors! all excellently done, weak service, casual hip space in Chinatown. Senia: 75 N. King St. 3$ french/American, quality creative, next to Lucky Belly, 4.5/75, 3$ American, charred cabbage, trendy, casual but excellent food, park Marin tower. *Maunakea Market: Maunakea St. fruits; fresh fish, clams, large prawns – Jerome and Amy shop here to cook @ condo. on N.Hotel St. International food court (Vietnamese, Singaporean, Thai, Philippino food), fresh lychees, rambutan. *Maunaoa Plaza: discovered arch way entry to “Thang” ice coffee and bubble tea, mango smoothies! Can get without tapioca balls” if adventurous go L down stairs to see an “inner city”, like another country to pass thru. *open market area: vegetables and fruits, seafood, chinatown store has everything! *Pagoda Floating Restaurant: 1525 Rycroft St. opens 6:30am 808-948-8356, [along ala wai, cross bridge, Kapiolani] or exit Ala moana, R on pikoi, R near strip mall Don Quijote; casual food, groups. *Ali’I Coffee: open until 2:30pm, 35 S Beretania St. 808-532-7928, Coff-Tails specialty, cold brew, trendy in downtown, lavender tea; the King, Taro latte is yum! * Madre Chocolate: chocolatier organic, lightly-processed dry beans from farms throughout the state and around the world in its Honolulu workshop. Try the coconut milk and caramelized ginger or lilikoi (passion fruit)-infused bars, or join a make-your-own-bar class. 2 loc: 8 N. Pauahi St., Honolulu; 20A Kainehe St., Kailua, (808) 377-6440, madrechocolate.com. *Kamaka Ukelelle Factory 550 South St Honolulu 96813 Tu-Fri 10:30am tour owner; Jake Shimabukuro- custom made. *Gazen: 2840 Kapiolani Blvd, Honolulu; Wai-dee’s family favorite; 5-11pm, great happy hour till 6:30pm, gem of Kaimuki area, has booths! AC, clean spacious. Homemade tofu (soymilk broth), (serve fresh wasabi –yum, eat it straight), best anywhere fried fish appetizer, potato mochi earl grey sauce. Park in lot. We repeat this place. *Home Bar & Grill:1683 Kalakaua Ave, Loud! sports bar, excellent local food! best garlic chicken, tater tot, nacos, kim chee fried rice, Negitoro, wafu steak, best cesar’s, garlic beans 808-942-2237 Shimosaka’s (went twice) then Doug Pearl #1 discovery ’14. ’15: no outside wine, Underage customers must be out by 8pm, card everyone; Large portions but too loud for us to eat unless with a group; real Sports bar, excellent local food! best salads and garlic chicken, edamame, kim chee fried rice. *Lucky Belly: 50 N Hotel St @ cornor 4.5/1,125 $$ Asian fusion, oxtail dumplings, lumpia, pork belly bao, belly and beast ramen bowl, quality food, good soup broth, large portion appetizers, reasonable prices, open late. *Hawaiian Chip Co: 1928 Republican St, 10-5pm, fresh warehouse, also at Farmers market, add own seasonings here! Superb Sushi: 1322 N King St. 7:30am-1:30pm, Mon-Sat, 808-737-0051, fresh made´poke!, one table, mostly cater. Poke by pound and bowls, I ask for No salt Poke bowl and add one soy sauce), unagi, inari-Gunny sacks seasoned rice with ginger! Poke and tako. Kevin owner. *Nisshodo Candy Store – 1095 Dillingham Blvd, Honolulu #808-847-1244 (M – F 7 am – 4pm; Sa 7 am – 3pm) sells arare, fresh Mochi, chichi dango. * Helena’s Hawaiian Food: 1240 N. School St. in Kahili Honolulu for Hawaiian food,10am-7:30pm 808-845-8044 Cash only, Tues-Frid only!! No reservations, wait outside, 4.5/1,520, ranked #1 real local food and really reasonable, famous HIW. My favorite Ribs!, delicious squid luau, kalua pork, tripe for Doug, fried butterfish if sharing. Mitsu-Ken Okazu: 2300 N King, across from New City Nissan, 4*/299, Bfast till 10:30am, closes 1pm, Sun, Mon closed eggs & garlic chicken $6.50, bento box HIW Tu-Sat 5am-1pm, cash only; Kristy, Christina recommend. *Thang’s french coffee & bubble tea: 1286 Kalani St, 8:30-6:30pm our favorite mango smoothies $4.5, in City Square Mall, better than Chinatown loc, thick!,AC, free parking all over strip mall; lichee coconut, iced coffee, milk tea, taro, papaya, avocado. Shop Costco 7am! Owner’s success story from Vietnam. Try new Sand Island shop! *Palace Saimin: 1256 N King 11am-11pm old Hawaii, 415-841-9983, benches, HIW, great for plain Saimen 4.5/260 Tu-Sat; since 1946, bring family for noodle fix (skip wonton or bbq stick, super hot mustard!) just noodle and green onion) S = $4.25 XL= $6.25. near Fergusens and Costco. *Kenko-Ya: 46-047 KAM Hwy, Kaneohe Bay Shopping Center 4/196, good variety, Best butter fish OMG! Teriyaki chicken, (no to unagi) A find, busy japanese sushi, near Safeway, will repeat. *Haliewa joe’s: Haiku Gardens, 46-336 Haiku Rd Kaneohe, HI 808-247-6671 Dinner only, 4:30pm-10pm get huge prime rib! (no reservations, so call ahead to make sure how many prime ribs, “med-rare, on med side, only fresh cut”) or get NY steak. open restaurant in a garden (use mosquito repellent), only dinner, split prime rib, get cesars! The Haliewa location restaurant is open both L&D, grilled salmon, fish taco. HH extensive menu 4:30pm-6:25pm get Pupus, Li Hee Mui blended Margarita is delicious. Paradise pie is in top 10 favorites! Mokolii Island: north end of Kaneohe, off of Kualoa Regional Bay Park, great spot for photos, unique shape (called Chinaman’s Hat) has sea caves and two small beaches, one secluded cove facing the ocean. see the distinctive profile of Kamehameha’s Turtle, Mokapu peninsula. Ko’olau Mt range: above Kailua Bay, between Kaneohe and ranch, beautiful, sacred power and mana=spirit emanates from cliffs; waterfalls. *Tropical Farms 49-227 Kamehameha 808-237-1960 variety of macadamian nuts, kona coffee samples, chickens, pricey, easy stop. *Kualoa Ranch: 49-560 Kamehameha Hwy Kaneohe East side, call and reserve ahead to ride horses and ATV rides; favorite! 9-5pm 808-237-7321 [Jeep tour every 30” 1hr $27/Adult call avail @10am, jungle tour, horse ride-ck in 30” ahead, 2hr ATV – 10% off if resident card @ purchase: we know of falls and injuries, very dirty but the kids go every time! Wanda and Paul like it] Pat’s café, gift store and vacuum beef for sale in refrigerator. Farm Tours and Zipling at Ranch. Byodo-In Temple: Cemetery and Botanical Garden 9am-5pm Koi fish, black swans, $3 entry serene; Valley of the Temples Memorial Park is the most beautiful setting to visit. Beach House 51-355 Kamehameha Hwy 96730 after you see Kaaawa Beach Park, the last house on the ocean side before gets sandy area again. *Hawaiian Monk Seal: (randomly spotted on beach 11.29.16 while looking out). PCC Polynesian cultural center: half or full day tourist spot, Samoan Hx show (Alamo magazine: rental car and key, contract, one person free preview one hour) 6-7pm daily in Dec live music free. BYU and McDonalds. *Fumi’s Shrimp truck: 56-777 Kamehameha hwy 10am-7:30pm, Darlene’s favorite!, organized, shrimp ponds all around. *Kahuku Farms Café and Tours: 56-800 Kamehameha Hwy, smoothies, freshest, delicious food, vege Panini, grilled banana bread, across Romi’s shrimp, cleanest port-a-potty. North Shore, at Turtle Bay Resort, it’s the Legends of the North Shore Luau, every Friday night. exciting dinner show with special entrees for the kids. tropical drinks at the outdoor. Surfside Hang Ten bar as well as late night entertainment and dancing at the Bay Club. live Hawaiian entertainment in the lobby daily from 4:30 p.m.- 6:30 p.m.
Laniakea Beach – 61-676 Kamehameha Hwy, Haleiwa 96712 “Turtle beach” “Honu sighting” Giant and baby green sea turtles year round, keep 3 feet away (do not stand like a wall of people or they stop advancing, poor vision), they stay away if strong currents, they feed on green algae, seaweed on the limestone shelves, rocks, Lock your car! watch traffic! Both sides. no sign, use phone GPS. Kim saw lots of colorful fish snorkeling close to beach. Beach with Turtles and docents on guard (ask lucky Paul and Wanda), watch Traffic, secure your car! *Dole Plantation: stop on the way to North shore, cut Pineapple demo, great pineapple ice, nice stop to shop, maze. *Haliewa Town: expanded for blocks of shops on both sides, parking behind. Visit old site of Grass Skirt Grill! *Coffee Gallery in Haleiwa: best Cappuccino Freeze (our favorite! skip starbucks for a dessert drink) Pearl’s favorite cold brew french’16,’17; internet access! lots inside seating tables, plugs along wall. Carry Uncle’s ice cream sandwiches. *Haleiwa Bowls: ’17 moved, now across road from Haliewa Joes on Kamehameha Hwy, 4.5/245 (2nd to Beet box), made each fresh in past; 7:30am-6:30pm, Mon-Sun 808-551-9507. *The Beet Box: great Acai bowl Rio, tasty avocado toast 4*/111 (one of Pearl’s favorite healthy food spot). Sun 7-4pm, great AC, wifi. *Celestials Natural Foods: 66-443 Kamehameha Hwy 9-7pm, sun=9-5pm 808-637-6729 local, family run, get bee pollen, refrigerator has hemp granola for acai, coconut strips $2. *Haleiwa Joe’s: 66-011 Kamehameha Hwy, 11:30-9:30pm, no reservations, dinner starts 5pm, 808-637-8005 sit down restaurant, both Lunch and Dinner at this site, prime rib @ dinner only, nice outside view, get catch of the day, fresh fish from area! 3rd Friday each month go at 4:30pm, 6pm packed for Hula and Fire show. Joe+ 3 daughters work here daily! *Kahuku Land Farms Stand: 56-781 Kamehameha local papaya, lichee, coconut, Best Kahuku Corn, fruits, heliconia; went when kids were young (GMa, side road open stands) 808-232-2202, cash only. *Banzai Bowls: Doug’s favorite Acai ‘17- a blend, Sorbet style and huge! Very refreshing, 59-186 Kamehameha hwy, sit across beach or at the thin counter @ window, limited seating, fresh made. *Ted’s Bakery: 59-024 Kamehameha Hwy, Haleiwa 96712, off R Sunset Beach, plates look good, shrimp plate lunch (just drain the oil) includes a dessert! Chocolate Haupia Pie (we pick up a whole pie) or get a whole coconut cake- soft for days, freezes well! NO to cheese cake; Open 7am-8pm Mon-sun; great buns. *Foodland: across Sunset beach, very popular supermarket! Everyone gets poke there. *Shark’s Cove: one of the best locations, tide pools, diving, shallow areas, snorkel to see bright fish here like Haunama bay. Locals and families all go here. 59-711 Kamehameha Hwy, great Summer-time only spot beach for the family, cove is protected, in summer 1’ to 3’ surfs, located to the right of the tide pools. Rocks so reef shoes needed! shallow calm water area to snorkel, Snorkel here to see more fish (parrotfish,chubs,jacks…) than Haunama Bay! Because marine sanctuary-no fishing. A local very popular dive (turtles, sharks, nudibranchs, slipper lobster,crab,eels…?orange cup coral) spot. Do NOT go in winter months, water swells 30’ will sweep you against rocks. Waimea Bay Beach park off Hwy 99 many beaches to stop at along the way. Waimea Bay Beach Park: 61-031 Kamehameha Hwy, Clear waters, lots of sand (I always wear water-shoes!) Shade near the rocks. Showers, foot faucets and accessible bathrooms! Locals and adrenaline junkies jump off the famous cliff jump! Baby jump further out requires swim, caution: sand has a quick deep drop and strong waves pull you out. *Waimea Falls: hike to pools, gardens, costs to enter, have boards for use; clear water 30’ deep, optional: swim shoes for rocks, no beach, relax, favorite place to hike and swim. (per Jeannie, local serious swimmers go snorkeling to the right, swim a bit far out to the edge of the bay). *Waimea Falls Farmer’s market: 2pm -7pm Thur afternoon farmer’s market in the best setting (love to make it here): live music, clothing, vegetables, picnic area, monkeypod trees, Great real fruit flavored ice, local honey, Noni balm, great bakery, crepes and pizza. Flyer Sportfishing: North Shore: fishoahu.com Captain Jared Dow cmsoahu@gmail.com 808-365-2520 or 808-3330701. *Tanioka’s Seafoods and Catering 94-903 Farrington Hwy, Waipahu; after shopping Waikele, or if going to KoOlina 9am-3pm; on Fri, Sat till 5pm, poke goes fast 808-671-3779 4.5/695, has freshest poke, spicy, limu, shoyu, garlic, fish patty, cone sushi, ocean salad, garlic chicken; best variety to cater a party! No eating area, take to-go, Justin’s favorite. *Waikele premium shopping outlet mall: 94-790 Lumiania St, stop on way to North shore, opens 9am-9pm, BCBG, Barneys, tommy Bahama #107, Coach…. Kailua: straight across Pali Hwy = #61; very nice beach, safest, can paddle; great, clean place to live, pricey homes. Beach Park: very safe, wind surf, people paddle out to Mokulua, the smaller of the 2 islands on the left to explore. A+D jump off point: Alan Davis, Safe beach that young people jump into the water, all locals know this, Kim says not too high. Ka’iiwa Ridge Trail = Lanikai Pill Boxes: great hike, need shoes, a great view windward coast. one of easier hikes on island also one of most scenic. Concrete guard posts. Mokulua: 2 islands you can see to the right from the beach, can explore the small island on the left. http://surfnewsnetwork.com/ go to Lanikai Beach: Mokulua Dr Kailua has best white sand, top 10 beaches of world! see two iconic islands named Mokulua off the coast. Mokulua islands are actually seabird sanctuaries, but the larger of the two islands offer a small beach you can kayak against the current and wind to! just as beautiful to look at. best spot to snorkel is in between Mokumanu Drive and Haokea Drive. Parking lot limited, walk to L of life guard and less windy area with shallow baby water area and walk under Hwy to paddle board and see canoe club area right across from Buzz’s. Pali Hwy: Connects downtown and windward side stop @ Queen Emma summer home and Pali Lookout Nu’uanu =great place to view windward side Kailua to Kaneohe to Kahaluu. *Nalu Health Bar & Cafe: 131 Hekili St #109 9am-6pm daily Acai bowl 24oz “Nalu bowl” Pearl’s #1 favorite, best tasting, neat, highest quality (pure dark, not icy, smoothie style –will melt at end, fresh made to order (n/c substituted blueberries out for papaya) delicious nalo green salads (no to added meat)! wraps look very good (get coffee @ Curb or Morning Brew). [Doug: smoothie switch milk to apple juice] Clean, light, AC, Free wifi internet pass=nalunalu. Help yourself to lemon water behind the refrigerator. My favorite location to hang out! BR for the block is in the back! *Bee Tea: quality tea and Boba place on St.
*Teddy’s Bigger Burgers: 539 Kailua Rd, 10am-9pm (Doug-local best burger), only wipes- so starbucks to wash hands. *Whole Foods: 629 Kailua Rd, 7am-10pm, salad bar, all types of high quality prepared food for take out, plenty of sitting areas to meet people. *Morning Brew: 600 Kailua Rd 808-262-7770, Mon-Sun 6am-6pm, outdoor and upstairs seating, all day Bfast, Brunch, lunch; free wifi, 4/588 local place c/o Trevor, best iced coffee- Pearl’s favorite top 5 black coffee (love peaberry). *Boots and Kimo: 119 Hekili st. Macadamian nut sauce on banana pancakes per Wanda, Closed Mon 151 Hekili Street, in Kailua (M – F 7:30 am – 2pm; Sa – Su 7:30 am – 2:30) 3.5 stars, good, lines! *Over Easy: brunch 418 Kuulei Rd #103 custard french toast, liliko mimosa, kalua pig hash, egg fried rice 4.5/151 Street park or use structure behind McDonalds 808-260-1732, No reservations, quality, homemade everything! innovative brunch; our #1 Brunch 2018, Jen and Nick- owners are there daily. *Buzz’s Original Steak House: 413 Kawailoa Rd. Kailua, 11am-3pm, 4:30-9:30pm, 808-261-4661 great Salad bar (pickled onions! ), desserts, Crab Louie @ lunch only Thur (Doug’s favorite), try ribs, scampi (NO to prime rib), across Lanikai beach! Sit outside (ask for chop sticks to eat salad). Madre Chocolate: chocolatier organic, beans from farms throughout the state and around the world. coconut milk and caramelized ginger or lilikoi (passion fruit)-infused bars, join a make-your-own-bar class. 2 loc: 8 N. Pauahi St., Honolulu; 20A Kainehe St., Kailua, (808) 377-6440, madrechocolate.com. Manoa Chocolate: popular Breakfast Bar of Hawai‘i chocolate nibs + coffee beans. Factory tours Mon -Sat. 315 Uluniu St., Suite 203, Kailua, (808) 262-6789, manoachocolate.com. Waimanilo: awesome beach, strong waves, mixed area, one large homeless camp; most gardens and farms! *Lagoons at Ko Olina- 3 man made lagoons, calm and quiet; first one has most parking, swim in lagoon #4 92-100. Clean Waipahu Pl: 1st Lagoon future four seasons hotel, $10 parking fee in the marina, all 4 lagoons have BRs, no life guards. BUY SOME WATER SHOES…must protect your feet in the waters of Waikiki…people step on Sea Urchins! Sites= Ko’olina Beach and Ala Moana Beach Park, Lanikai =good for young kids. Waikiki is SUPER rocky!!! definitely get reef shoes, go to the ihilani hotel, five ko’olina lagoons- manmade so bottoms are nice and sandy–very few rocks. don’t go during jellyfish season, though. If you want to do a luau, go to paradise cove. Halona Cove & Blow Hole: This natural water feature is amazing to witness. Seawater is pushed up through a lava tube in the volcanic rock and shoots into the air like a geyser. best viewed during high tide and windy weather. Koko crater botanical garden: 90” stroll into crater, 200 acres plants grow dry [follow koko crater stables off Kealahou St to dead end, tril entrance to park, bring water, walking shoes. Farmer’s Markets: “get vine ripen Papayas –best taste, sweet” see what is seasonal and fresh! *Haleiwa Farmer’s Market: Thur 3pm-7pm in Waimea Falls Valley (moved over), tight parking, in a rainforest, greens, artists, music, bakery, Wicked HI Slush- honey slush, our favorite ice, punch card, 59-864 Kamehameha Hwy. Mānoa Falls, Diamond Head Crater, Kokohead—O‘ahu’s most popular trails attract crowds for a reason. “The easiest of the ridge hikes,” notes hiking guru and author Stuart Ball. This mild trek may not be as bad as its Ko‘olau cousins, but you may have a Koko Crater moment when you reach the stairs at the end. Plant lovers, feast your eyes on the variety of flora, which range from alien ironwoods to uluhe ferns. Reach the summit, and get the same clear east side views, less the Lanipō struggle. HEADING EAST ON KALANIANA‘OLE HIGHWAY TOWARD HAWAI‘I KAI, TURN LEFT ONTO KULI‘OU‘OU ROAD. PROCEED UNTIL THE ROAD ENDS IN A CUL-DE-SAC WITH A NARROW PAVED PATH AT ITS END—THIS IS THE WAY TO THE TRAILHEAD. NOTE THAT PARKING IS PROHIBITED BY SIGNS IN THE CUL-DE-SAC ITSELF, SO IT’S BEST TO LOOK FOR PARKING ALONG KULI‘OU‘OU STREET. Forget the Makapu‘u lighthouse—if you want a real hiking expedition, take this coarser path from the lookout all the way to Waimānalo. It starts out steep and gets pretty narrow, but glimpses of Hawai‘i Kai and the Windward Coast await you along the way. Keep an eye out for the Cold War-era missile pad, and don’t forget to get a ride back to the lookout lot—this is a one-way hike. HEADING NORTH ON KALANIANA‘OLE HIGHWAY FROM HAWAI‘I KAI, PASS THE TURNOFF FOR THE LIGHTHOUSE AND TURN RIGHT INTO THE MAKAPU‘U LOOKOUT PARKING LOT. THE TRAILHEAD IS LOCATED ACROSS THE HIGHWAY FROM THE LOT EXIT. Yes, it is really that long, but fear not: This is one of the best maintained hikes around. It’s got a wide, level pathway that was originally created by the 1930s Civilian Conservation Corps. What’s more, says Ball, “there’s something for everyone,” from explorable plantation-era drainage tunnels to tasty mountain apples and strawberry guava off the trees. Just don’t get too distracted and miss the view of Kahalu‘u at the ridge summit! TRAVELING WEST ON THE H-1, TAKE EXIT 10 (PEARL CITY/WAIMALU) ONTO MOANALUA ROAD. PROCEED UNTIL MOANALUA ENDS AND TURN RIGHT ONTO WAIMANO HOME ROAD. CONTINUE ON WAIMANO UNTIL YOU REACH THE PARKING AREA ON THE LEFT AND A GUARD SHACK ON THE RIGHT. FOLLOW THE CHAIN LINK FENCE TO THE TRAIL HEAD. Friends may tell you that this one is a walk in the park. Don’t believe them. Once you set out from the trailhead at Maunalani Circle, you’ll have to follow the ridge up, then down, then up, and … well, you get the picture. Don’t count on the elements to give you a break, either. The (narrow) path is muddy after rain and blistering in the sun. The payoff? Stunning views from Waikīkī to Waimānalo with the Ko‘olau range in between. HEADING EAST ON WAI‘ALAE AVENUE, TAKE A LEFT ONTO WILHELMINA RISE, CONTINUING ALL THE WAY UP THE RIDGE UNTIL THE STREET INTERSECTS SIERRA DRIVE. TURN RIGHT ONTO SIERRA, THEN RIGHT AGAIN WHERE IT INTERSECTS MAUNALANI CIRCLE. CONTINUE ON MAUNALANI—THE ROAD WILL CURVE TO THE LEFT—UNTIL YOU REACH THE MARKED PATH TO THE TRAILHEAD JUST AFTER A DRIVEWAY WITH A SURFBOARD MAILBOX STAND. SIGNS PROHIBIT PARKING ON THE OPPOSITE SIDE OF THE STREET, BUT NONE ARE POSTED ON THE SIDE YOU ENTER ON. Build your own adventure by going only as far as you want. Whether you’ve got the gusto to make it to the summit or feel fatigued at the picnic rest site, this route above Pacific Palisades offers some of the best ridge hiking on the entire Ko‘olau range. The most important rule? Stick to the main trail—follow a tributary path, and you may wind up in Waimano Valley. Spice up your next jog on Old Pali Road by taking an old cobblestone path up through a nearby valley to the falls. Be persistent: The sound of running water makes the falls seem closer than they are. At the end is a moderate-sized cascade with plenty of foliage and tree branches around, making it a great spot to hang out—literally. THE TRAIL TO THE FALLS IS ACCESSIBLE FROM THE OLD PALI ROAD, WHICH IN TURN CAN BE REACHED FROM THE PALI LOOKOUT (SEE DIRECTIONS AND PARKING FOR PALI PUKA). CONTINUE ON OLD PALI ROAD UNTIL YOU REACH A CONCRETE BARRIER AND A SET OF STAIRS. BY THIS POINT, YOU SHOULD BE ABLE TO HEAR THE RUNNING WATER. Yup, there’s a waterfall up there! Grab a permit from Hawai‘i Reserves at the Lā‘ie Shopping Center and head up a quiet country road to find the trailhead. From grasslands to dense forests, this hike features a variety of biomes on the way to the main attraction. This isn’t the largest waterfall, so aim to go after a good rain, when the pool and cascade should be most impressive. HEADING NORTH ON HIGHWAY 83 TOWARD LĀ‘IE, PASS THE POLYNESIAN CULTURAL CENTER AND TURN INTO LĀ‘IE SHOPPING CENTER ON THE LEFT. LOOK FOR THE HAWAII RESERVES OFFICE (OPEN 9 A.M. TO 5 P.M. MONDAY THROUGH FRIDAY) WHICH GRANTS THE PERMIT REQUIRED FOR THIS HIKE. FROM THE CENTER, CONTINUE NORTH ON HIGHWAY 83 AND TURN LEFT INTO NANILOA LOOP. ONCE IN THE ROUNDABOUT, TAKE THE POOHAILI STREET EXIT AND PROCEED TO THE PARKING LOT NEXT TO LĀ‘IE PARK. FROM THERE, YOU WILL NEED TO PROCEED ALONG THE ROAD BY FOOT TO REACH THE TRAILHEAD. The trail itself may be muddy and uneven, but “the pool and falls are spectacular,” says Ball. Indeed, many take advantage of the swimming hole by diving from the top of the falls or from a ridge even higher up. This windward trail is crowded with locals and tourists at midday and on weekends, so plan to go very early or late and on a weekday. Don’t miss the great Ko‘olau views on the way up. A word of caution: If you’re leery of leptospirosis, this might be one to skip. HEADING NORTH ON THE PALI HIGHWAY, PROCEED TO THE INTERSECTION WITH KALANIANA‘OLE HIGHWAY, AULOA ROAD AND KAMEHAMEHA HIGHWAY. TURN RIGHT ONTO AULOA ROAD, THEN RIGHT ON LUNAAI STREET, LEFT ON LUNAHELU STREET, AND FINALLY RIGHT ONTO MAUNAWILI ROAD. PROCEED ON MAUNAWILI UNTIL YOU REACH ITS INTERSECTION WITH KELEWINA STREET. THE TRAILHEAD IS LOCATED AT THIS POINT. PARKING IS SCARCE AT THE TRAILHEAD, SO LOOK FOR A SPOT CLOSER TO THE INTERSECTION OF MAUNAWILI AND ALOHA OLE DRIVE. The old ruins, bamboo forest, and 50-foot waterfall make you feel like you’ve leaped right into one of the Indiana Jones movies. Look for the trailhead near where Nu‘uanu Pali Drive reconnects with the Pali Highway, and be sure to follow the trail. If you’ve lost your way, just head upstream. The ruins are the remnants of King Kamehameha III’s summer palace, known formally as Kaniakapupu. TRAVELING NORTH ON THE PALI HIGHWAY FROM HONOLULU, CONTINUING PAST THE FIRST INTERSECTION WITH NU‘UANU PALI DRIVE. IMMEDIATELY AFTER THE SECOND INTERSECTION WITH NU‘UANU PALI, WHICH IS PRECEDED BY A YELLOW DIAMOND-SHAPED SIGN MARKING THE END OF THE RIGHTMOST LANE OF THE HIGHWAY, PULL OFF OF THE HIGHWAY AND ONTO THE GRAVEL PARKING AREA. THE TRAILHEAD IS THROUGH THE BREAK IN THE FENCE. Stuart Ball calls this one “somewhat more rugged and wild than other waterfall [hikes].” He’s probably right, judging from the stony stream crossings and the aquatic life around them. Enjoy the verdant valley walls and smaller cascades as you head further into the gulch, eventually reaching the 80-foot-tall Kalo Falls and pool. Pick up a hiking permit from Hawai‘i Reserves at the Lā‘ie Shopping Center but be ready for difficult, tricky going. HEADING NORTH ON HIGHWAY 83 TOWARD LĀ‘IE, PASS THE POLYNESIAN CULTURAL CENTER AND TURN INTO LĀ‘IE SHOPPING CENTER ON THE LEFT. LOOK FOR THE HAWAII RESERVES OFFICE (OPEN 9 AM TO 5 PM MONDAY THROUGH FRIDAY) WHICH GRANTS THE PERMIT REQUIRED FOR THIS HIKE. FROM THE CENTER, HEAD NORTH ON THE HIGHWAY AND PARK IN THE LOT FOR LĀ‘IE BEACH PARK. WALK SOUTH ON THE HIGHWAY UNTIL YOU REACH A NARROW PAVED ROAD ON THE RIGHT, ACROSS FROM A LARGE WHITE MANSION AND JUST BEFORE THE 20-MILE MARKER. THE TRAIL BEGINS BEYOND A CHAINED PORTION OF THE ROAD. Want the most gawk for your walk? Instead of heading straight to the Pali Lookout, find the trailhead that begins with a gap in the stone wall in the parking lot. Twenty minutes later, you’ll be rewarded with a view of the Windward Coast framed by the puka itself. Be careful, though—the trail is often just feet from a sheer cliff drop, and there are no guard rails here to keep you safe. TRAVELING NORTHEAST OUT OF HONOLULU ON THE PALI HIGHWAY, FOLLOW THE SIGNS FOR NU‘UANU PALI STATE PARK (COLLOQUIALLY PALI LOOKOUT). EXIT THE HIGHWAY BY FOLLOWING THE SIGNS JUST BEFORE THE WILSON TUNNEL. AT THE LOOKOUT PARKING LOT, SCAN THE ROCK WALL FRONTING THE BUS STALLS FOR A CRUMBLING DIP WITH SOME BAMBOO ON THE OTHER SIDE. THIS IS THE TRAILHEAD. The Wai‘anae Range gets hiked less often than its sister mountains. That means more room for sprinting on this wide dirt road. See Wai‘anae on one side and Mokulē‘ia’s shore on the other, or come early for a stunning sunrise. Where to enter? That’s up to you: Intersections with the Keālia Trail and Mokulē‘ia Forest Reserve Access Road mean you can approach from either side of the mountains. HEADING WEST FROM HALE‘IWA ON FARRINGTON HIGHWAY, PROCEED UNTIL YOU REACH A GREEN METAL GATE ON THE LEFT THAT MARKS MOKULĒ‘IA FOREST RESERVE ACCESS ROAD WITH A GROVE OF COCONUT PALMS JUST OFF OF THE HIGHWAY. THE ROAD IS NOT MARKED BY A STREET SIGN—THE LAST CLEARLY NAMED STREET WILL BE MAHINAAI STREET ON THE RIGHT. THE ACCESS ROAD LEADS TO THE TRAILHEAD, BUT IS ONLY ACCESSIBLE BY BICYCLE OR ON FOOT. AVOID LEAVING VALUABLES IN THE CAR IF YOU PARK ALONG THE HIGHWAY, AS VEHICLE BREAK-INS ARE COMMON. Tired of windward views? Try this Wai‘anae ridge for something new. It ends at the same point as Keālia, but the gain is more gradual and (relieved sigh) switchback free. Don’t hold out for the best views until the end—glimpses of both sides of the range are best on the way up. Forks abound, but if you always hang a left, you will survive. The top two necessities for this hike: a four-wheel drive vehicle for getting to the trailhead at Ka‘ena Point Tracking Station and a permit from the state. TRAVELING WEST ON FARRINGTON HIGHWAY, PASS WAI‘ANAE AND PROCEED UNTIL YOU REACH YOKOHAMA BAY ON THE LEFT AND SATELLITE TRACKING STATION ROAD ON THE RIGHT. CHECK IN WITH YOUR STATE-ISSUED PERMIT AT THE GUARD STATION. CONTINUE ON THE ROAD AND TAKE A RIGHT AT THE STOP SIGN. AFTER PASSING THE SATELLITE STATION, YOU WILL REACH ANOTHER INTERSECTION WITH A DIRT LOT NEARBY. PARK HERE, AND LOOK FOR THE TRAILHEAD NEXT TO AN UNPAVED DIRT ROAD THAT DESCENDS DOWN INTO THE GULCH. Hunting for an ancient hei‘au? Wondering where to find wreckage from a World War II bomber? This trail at the end of ‘Aiea Heights Drive has a variety of sites for history buffs, and the path is suitable for hikers of all abilities. For a more modern vignette, check out the bird’s-eye view of the H3. When you’re finished, pavilions make this the perfect place to picnic, post-hike. HEADING WEST ON THE H-1 TOWARD ALOHA STADIUM, TAKE THE STADIUM/‘AIEA EXIT ONTO MOANALUA ROAD. TURN RIGHT ON ‘AIEA HEIGHTS DRIVE AND FOLLOW IT UNTIL IT LOOPS AROUND IN KEA‘IWA HEIAU STATE PARK, WHERE THE TRAIL IS LOCATED. PARKING AND FACILITIES SHOULD BE PLENTIFUL HERE. Finding petroglyphs on O‘ahu is hard, but you can check some out on a boulder just off this path in Moanalua Valley. Add in some old carriage bridges and ruins from the former Damon Estate, and you’ve got a great hike made even better by fascinating archaeological sites. Experienced hikers: Motor past the official end of the trail to find the legal(ish) backdoor route to the top of Ha‘ikū Stairs, along with some of the most treacherous ridge hiking on the island. This hike’s a quick one, with a sweet swimming hole just past a grove of banyan and mango trees. All were planted by territorial forester Charles S. Judd decades ago. The trailhead is off Nu‘uanu Pali Road near Reservoir No. 2. Apparently, a donkey was tethered there in the early 20th century, surrounded by (you guessed it) a bunch of ginger. HEADING NORTH ON THE PALI HIGHWAY, TURN RIGHT ONTO NU‘UANU PALI DRIVE. SHORTLY AFTER THE HAIRPIN CURVE, LOOK FOR A CONCRETE BRIDGE AND A SIGN ON THE RIGHT THAT READS “PLEASE KOKUA NO DUMPING” JUST BEFORE IT. THE TRAIL STARTS JUST BEFORE THE BRIDGE. PARKING IS LIMITED, SO CONSIDER OTHER SPACES IN THE RESIDENTIAL AREA BEFORE THE TRAILHEAD. Koko Crater trailhead ( southeast ) 1,000 steps, 1.5 miles, take 30-60 minute to go to top. Destination google: Koko Head District park. Bridge too scare? Path to right to bypass. North shore : big swell and surf in winter ( do not swim or snorkel in winder , calm in summer. Turtle paddle board, in Haleiwa up the Ana Hulu Stream.